Always stay grounded no matter how far you go. Home / Adviart Blog / Always stay grounded no matter how far you go. 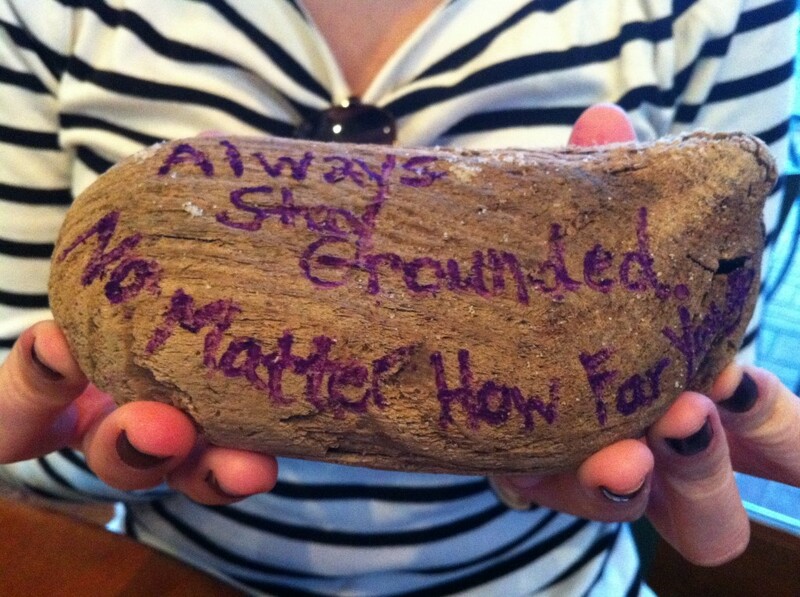 Always stay grounded no matter how far you go. ASF! This adviarter picked the heaviest item in the bag of wonder–the wood still was wet from the ocean so it had significant weight to it. The weight of the piece of wood being the most important aspect as being grounded requires weight by an external force. If the wood ever dries, it is easy to place the wood in water to get back the weight. The iterative nature of this exercise is no surprise to me–this adviarter heavily believes in action-based learning and experience. The color purple selected because it is the adviarters favorite color. Notice how the color of the ink matches her nails. Purple being a color that we both enjoy–showing the focus of self and reflection of herself. How do you stay grounded? The always emphasis makes this challenge continual, throughout all opportunities in life. Being grounded helps us remember where we came from–one thing is for sure, no matter how far we go, we can never forget where we came from.